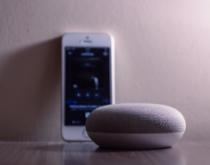 For several years we have seen a drastic increase in the number of buyers who expect a home to be equipped with at least some level of smart home technology. The Knoxville real estate market aligns pretty consistently with national trends. According to the Home Buyer and Seller Generational Trend report by the National Association of Realtors, millennials are looking to purchase smart homes. And, since millennials make up the largest group of potential home buyers, it’s more than safe to say spending money on smart home technology will pay off when it comes time to sell your Knoxville home. In fact, studies have shown that this group of buyers are willing to pay more for a home if it is fitted with smart technology. So what is a “smart home”? Smart Home technology is a “device that’s connected to the Internet that allows you to control, monitor, and automate it from anywhere using your smartphone, tablet, or computer.” For example: programmable thermostats, automated lights, locks that automatically unlock as you arrive. It’s hard to know which “smart” products are completely worth the investment and will have a return on investment for the homeowner. One of the most requested smart devices is a programmable thermostat, such as Nest. According to Nest’s website their product has a significant potential to save you money, and energy— “on average the Nest Thermostat saved 10% to 12% on heating and 15% on cooling. Based on typical energy costs, we’ve estimated average savings of $131 to $145 a year. That means the Nest Thermostat paid for itself in under two years. $131 to $145 estimated average savings per year.” PC Magazine gives the product their stamp of approval and in fact, gives the device an Editor’s rating of Excellent for it’s ease of use and wide variety of functions. Simply that this is the thinking and reasoning of today’s home buyer. They want systems in place that make their day easier, make their home safer and help them save money. Americans are always looking for ways to simplify their daily tasks, smart home technology is a way to do just that. Imagine, lights that automatically come on (at the perfect dimmed level) at your wake up time and then shut off when you leave the house. An automated coffee pot that has your daily java waiting for you when you wake and shuts off when you close the door to leave. These are all things that home buyers are excited about. Before you retrofit your home with smart tech, consider what type of device your demographic is most attracted to. Need tips? We can help. Recommendations? We do that, too. We work with buyers and sellers all over the Knoxville area and know what devices are most attractive and to whom. Want an easy way to increase your home’s value? Add a few connected devices… but talk to us first!